A forgettable 16 games have come and gone, another year of watching non-New York teams battle in the playoffs. All season New York has struggled mightily. When Gang Green walked into the lion’s den of Gillette Stadium in the final week of the season, things proved no different. The 4-11 Jets traveled to New England to take on the AFC East champions. By the showing they put on the field, you would think they were toying around during the bye week. In a completely lost season, the Jets had a chance for a small moral victory by barring their Boston rivals from a first-round bye, but instead they practically handed it to them on a silver platter with an embarrassing 38-3 loss. The first quarter was pretty much as everyone would expect - the Pats handled the Jets on both offense and defense. And guess what? The same happened in the second quarter, the third, and the fourth. It’s nearly impossible to find silver linings in a blowout defeat against a key rival, but there are a few important takeaways from this concluding week. As it stands now, the Jets will have the second-most available cap space to spend with over $92 million, and after a few expected salary cuts, that number should creep to over $100 million. That of course means there will be practically no returning players on next year’s team, but those who will stay are arguably the most important to the Jets: the young core. Specifically, Sam Darnold and Jamal Adams capped off strong seasons, which is especially important since they serve as the respective offensive and defensive leaders. There were other important starters like the oft-injured Marcus Maye and underwhelming Leonard Williams, but there is no doubts that the two most important players are Darnold and Adams. And after 17 weeks, how have the two done? The rookie Trojan has turned his so-so season around to be one of the best quarterbacks over the last four weeks, and “The Pres” put up a Pro Bowl and potential All-Pro season. The team may be out of playoff contention this season, but with these two leading the team going forward, there is light at the end of the tunnel. This should come as no surprise to anyone, but following his third straight losing record and worst season to date, Todd Bowles is out as head coach of the Jets. Sure, this year’s brutal performance can’t all be blamed on the coach, but as head honcho, Bowles rightfully took responsibility and accepted the consequences. The record says it all, and the Jets made the move they needed to make. Time to move on. Thank u, next. Maybe the most best thing going for the Jets right now is locking in the third pick in the 2019 draft. The roster is going to have a TON of holes to fill, but in addition to the $100+ million GM Mike Maccagnan will have available to spend on free agents this offseason, the third pick in the draft will give the team a legitimate chance to significantly upgrade the roster. 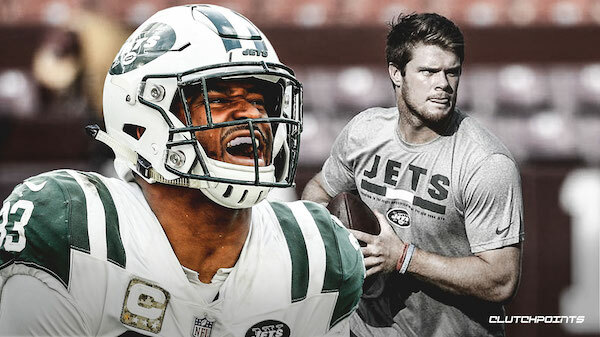 Whether it be by trading back and collecting multiple picks or selecting another future star at #3 like they did last year with Darnold, the Jets have been set up for a real positive roster impact following a successful tank. Now it’s up to Macc to make the most of it, otherwise he’ll find himself on an even hotter seat than Bowles sat on. Overall, what can I say? Everyone saw this coming, but week in and week out, I sat myself on the couch and watched the Jets make fools of themselves, hoping that a miracle would bring them to the playoffs. But alas, the Jets are still the Jets, and New York has finally been put to rest for 2018.